Here are the rules, so please read through them so you know what's up! 1. I created this document in a program called Art Explosion Publisher Pro Silver. If you do not have this exact program, you cannot edit this schedule. I repeat - if you do not have this exact program, you cannot edit this schedule. 2. In light of #1, I am happy to help you edit the order of the songs so it fits your primary better. Please email me if I can help you, and include the order you would like the songs to appear. Give me a few days to get it done, because between mom stuff, work, school, scouts, and everything else, sometimes it takes a few days to get to my email. 3. Use it, share it, give me your feedback, have fun, and count your blessings that you have the best calling in the church! That's it! Have a great 2013! You're so awesome! Thank you SO much! This is fabulous, fabulous, fabulous!!! Thank you SO MUCH for putting this together. Thank you so much for what you do. I don't have the skills to put something like this together so I am glad you put in the time and effort. ummm wow, you rock. thank you! This is amazing, thanks for your hard work. I was wondering if you would be willing to share an editable verion of your schedule with us. any way i could get a modified version of Version 5? but without the Article of Faith line? we aren't learning them. so just lines: Opening, Birthday, Baptism/Visitor, and Singing Time. thanks! Thank you for your time and effort in others behalf! I have different gifts than you and I am grateful that you will share them with us! I just had to comment and thank you for sharing this. I used your schedule this year and it was such a great planning tool for me. I had totally forgotten where I'd found it, and just happened to stumble across your post this evening. Just in time, cause I was just getting ready to do the 1st quarter planning for 2013! Thank you SO much!!! I just recieved this calling and some what unorganized, but this will help me pull it all together! Thank you! You are very talented. Thank you so much. Like the post above, I am new to this calling and appreciate anything I find that will help to organize me. This is awesome! THANK YOU so much for this! I just got called and am slightly overwhelmed. This is AWESOME! you are so awesome! thanks for posting this! I am also a new chorister and have no clue where to start. This is so helpful! One question...what is the difference in the 4 versions? The different versions have the songs in different orders. They are based on requests from other choristers. Pick one that fits your schedule, or email me and I can customize it for you! Have fun! THANK YOU!!!!!!!! I'm ecstatic to find that you've made a new one for 2013!!! Thank you thank you thank you! The first half of the year I had my own system of typing up each week. Then, in the summer I started to use your forms and it really brought peace and order to the year. I am so grateful you have made them again and I am definitely using them. Thank you! Finally printing it up for next year! Thank you! Thank you so much for sharing this! This helped me so much last year after I was a brand new music leader and my pianist loved that I had it ready for her every month (thanks to you!). I'm so grateful for people like you who share their talents with others. I can't say thank you enough! Your blog has made my calling even more enjoyable! Happy New Year! Thank you so very much! VERY helpful and saves me a lot of time! I just found your amazing blog! WOW! Thank you so much for sharing your ideas so my Primary can think I am as cool as you are!!! Thank you for the 2013 singing time schedule wow ! an extra help to get it all together. Version 3, I noticed when I went to print it out September is not complete. The image is not downloading completely or something. I also wanted to send you a BIG THANK YOU, for all your hard work and efforts with this schedule. I used it last year and was looking forward to it again this year. It truly does help everyone get on the same page. Your kind offer to help is much appreciated. These are fantastic! You are a rockstar. I was sitting down to try and whip up a schedule when I came across this. Total life saver. Thanks a million! Thank you so very much! This is a great resource, and your entire website/blog is as well! I made those changes for you, and it is linked in the post as version 20. Have fun! Brittney... Thank you very much! You just made my day! Wow, I am utterly impressed with your site! 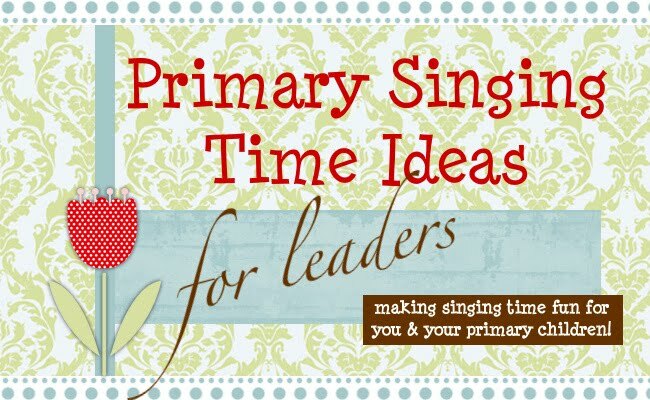 I have been the singing time chorister every other calling (seems I switch from Primary president to chorister every couple of years) for the last 9 years. What great and fun ideas you have on here! I want to thank you for all your hard work! Thank you so much for your hard work on these! I'm new to this calling and there help greatly! I don't know if you are still able to edit a ST schedule for me...I know it's June now:-) I think this would save me emailing my 2 pianists/Primary Pres. each week the schedule. I didn't see a version like ours--it's: Opening song, Visitor song, Birthday/Baptism song, Articles of Faith (Sr.)/Wiggle (Jr.), Singing Time, Closing/Practice song. Thanks a million! I added your schedule to the list in the post, it's the one that says "for Danna" Let me know if there's anything else I can do for you! I got released as chorister! :( So sad! But i just wanted to tell you again HOW NICE you are to make all these schedules for us! The new chorister specifically asked about my "schedules" I hand out to the pianist and the presidency. I will give her the link here! Thank you so much for your hard work! I hope preschool is going well! I love your schedules. I use version 6. Will you be making new ones for next year? I'm getting so excited for the 2014 schedule. I have LOVED using the one for 2013 (it has truly helped me to get organized!) and am ready to start making plans for next year. When do you think it will be available? Thank you for all of your WONDERFUL print outs!